So my buddy walks into the TV room and says, "This is embarrassing." I reply back with a snap. "No it's not! ... I'll tell you what's embarrassing. Losing to the Giants- that's embarrassing." Then I add, "now scoring 10 runs in the first two innings... that's gratifying!" eBay is such a great place. If you look hard enough you can find some great vintage one of a kind items. 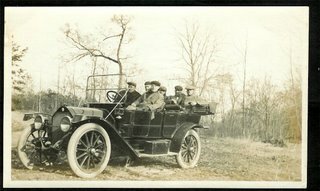 Recently concluded were two auctions of rare photographs of Honus Wagner that match that description. You can check out the listing here: #1, #2. Wagner isn't on the field getting ready for a ground ball or sitting in the dugout with his managers uniform on. Instead, he's hanging out with the boys. They go driving into the country ready for an afternoon of fishing by a trusted river. Unfortunately, it looks like they had a pretty slow day with only 2 trouts in tow. 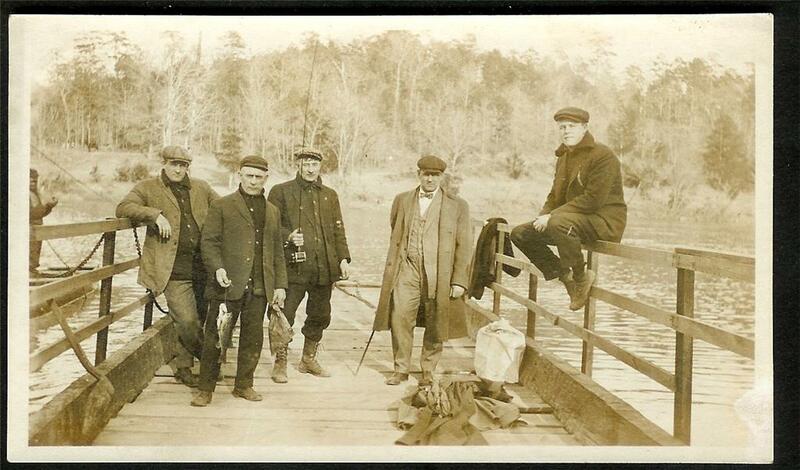 Honus has a fishing pole in hand in the middle. He doesn't look disappointed in the days catch. In fact, he looks like he's ready for more as he holds his pole straight up ready for bait and another try. I guess that man never quits. I had asked the seller if they originally came from the Honus Wagner estate sale through SportscardsPlus in 2003. Unfortunately, he did not know. They were consigned to him from a private collector and that information was not provided. Nevertheless, they are 2 very rare items and excellent additions for any vintage collector. They are postcards sized. 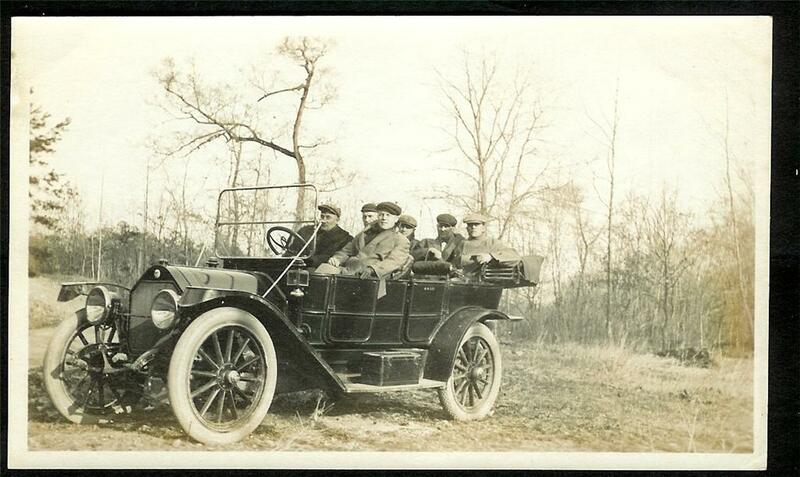 Below are Honus and friends posing for the camera in a model T type of car. Wagner is sitting in the front passenger seat.